The 19th century was a heady time for American whalers, and, consequently, a pretty awful time for whales around the world. But cetaceans weren’t the only ones to take a hit. A forthcoming study of whaler ship logs found that thousands of other animals, from walruses to kangaroos, all fell prey to whalers’ weapons. Drew knew that Massachusetts' New Bedford Whaling Museum had scanned and digitized dozens of logbooks taken from whaling ships. "It was a great dataset, just sitting there," Drew says. He set his class a task: Identify and add up all the non-whale animal kills recorded in each of 79 logs from 1846 to 1901. This was slightly harder than it sounds. The whalers who kept the logs were, well, whalers, not scientists. Different people used different names to refer to the same animal, and sometimes lumped several species together. And then there was the handwriting—beautiful to look at, but a huge pain to decipher. "Ugh," Drew remembers. "It was like Elvish script." But the students loved it. After the midterm, they asked if they could keep going, and Drew decided to extend the project for the rest of the semester. Drew and his seven students conducted a formal study from start to finish, beginning with recording and classifying every single animal’s death from the scanned primary source documents. The students analyzed the data and compared their findings with climate data and merchants’ records. The last two weeks of class were dedicated to writing and preparing the study for publication. On the final exam, each student had to draft the paper’s abstract. "By this point in the project, they definitely should have known enough about it to write one," Drew said. "Plus, I hate writing abstracts. I figured I’d give them the pleasure instead." The resulting paper—soon to be published in the journal Ecology and Evolution—is full of surprises. As expected, non-whale animal deaths were widespread, but they were also astonishingly diverse. 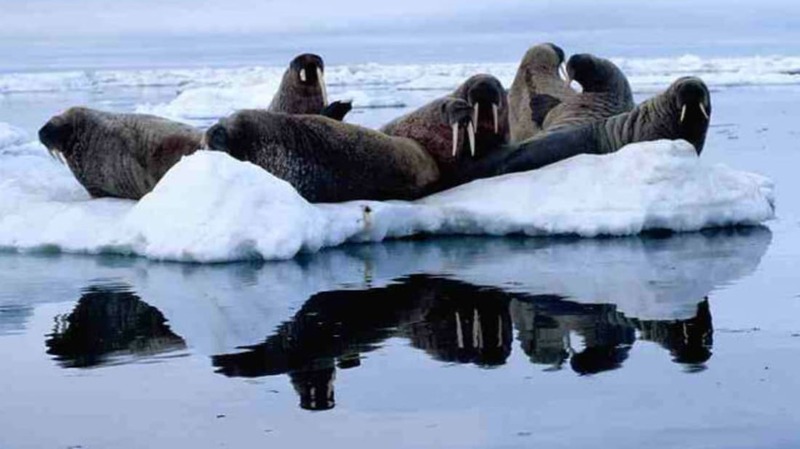 "There were tons—literally, tons—of walruses being caught," Drew says. There were seals and cod and caribou, otters and ptarmigans. More than 150 rabbits. Seventeen polar bears. Seven bears. Four beavers. Two kangaroos. The whalers had been busy. Terse and no-nonsense though the logbooks might have been, they managed to create a vivid picture of life at sea. Gaps of time between entries suggest "days and days of boredom punctuated by life-threatening exhilaration," Drew says. The men aboard these ships were hungry for action, for a payday, and for something other than the disgusting preserved food in the hold. When an opportunity to go ashore and hunt arose, they were going to take it. These were desperate and dangerous days, and not just for the whalers' quarry. "The logs talked about people being killed or getting incredibly sick," Drew says, "and they were just trapped on these boats in the middle of the ocean." He says the lists of kills are, in their own way, tinged with a sense of loneliness. This is the power of historical ecology, Drew says: to show us how we got here, for better or for worse. He says, "It’s like lifting that veil and seeing this wonderful complexity, this drama and dance, that led to the world being the way it is now."